Grasping the Lordship of Jesus Christ is the key to your everlasting life (Rom. 10:9), and to powerful daily living (1 Pet. 3:15). 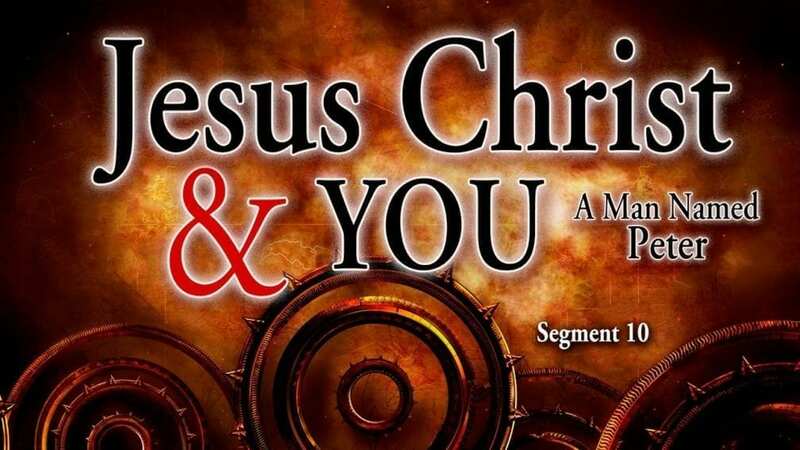 Your relationship with Jesus Christ is the bottom line of your Christian walk. The problem: our persistent humanity. God has provided us with a real life example of someone with whom we can easily identify. Peter personified Proverbs 24:16 (“A righteous man falls seven times, but rises again…”)! That’s how we learn to walk. Peter provides us with true inspiration as to where we can go if we follow the Lord’s leading. Religion too often says we must be perfect, but Jesus looks on your heart, and works with you, just like he did with Peter, who ended up getting two books in the Bible! How far do you want to go with the Lord Jesus? He will never lead you where his grace cannot keep you. Let us follow the example of Peter and let the Lord Jesus guide us, correct us, pick us up, and help us stand for him for a lifetime.